Macrophytes have been approved as a natural resource for nutritional components as well as antibacterial and anti-biofilms agents. 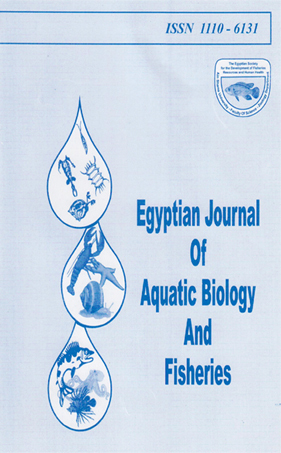 In this context the nutritive status and the antimicrobial activity of the Egyptian macrophytes species Potamogeton nodosus have been studied. P. nodosus have approached a high nutritional value which was reflected in lower ash (11.93%) and considerably high organic nutrient level (88.07%). In addition, this plant contains high protein, carbohydrates, potassium and nitrogen contents with very low concentrations of micro-elements (Iron, Manganese, Zinc and Copper) which make it a valuable source for fishes and animals diets. The extracts also revealed a high phenolic and flavonoids contents (19.313 mg/g gallic acid equivalent and 17.885 mg/g rutin respectively). Both antibacterial, and anti-biofilm activity of three solvents, chloroform, methanol and petroleum ether extracts of P. nodosus Poir were tested against Pseudomonas aeruginosa ATCC 27853, and Escherichia coli ATCC 25922.The methanol extract showed the highest antimicrobial and anti-biofilm activity. The findings of this investigation suggested the potential of Potamogeton nodosus as a new supplementary food resource. In addition to the antimicrobial activity of its extracts especially methanol extract, which would have promising applications in this field.